KRWG hosted StoryCorps in Las Cruces in January 2016. 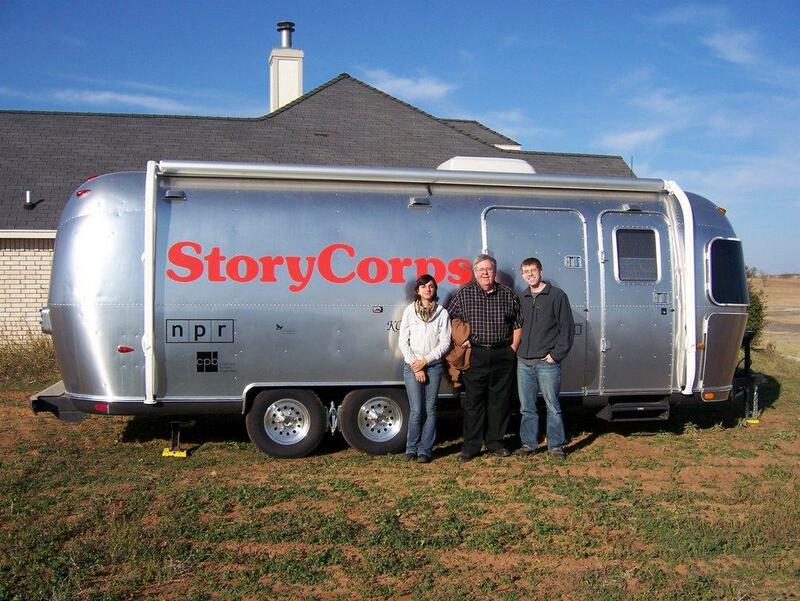 Now, we are airing some of your conversations recorded by the Story Corps crew. The segments will all be posted online at www.krwg.org and you can also listen Mondays at 8:45am and 6:45pm. Time now for KRWG’s StoryCorps which visited our area in January. Katherine Perez Lockett (38) talks to her friend, Sabrina E. Van Why (36), about her late husband, who passed away from substance abuse when her son was 16 months old after suffering from PTSD after spending time in Iraq. Time now for KRWG’s StoryCorps which visited our area in January. Deborah Moore (53) interviews her friend, Blu K. Warren (53) about her work and creating a safe space for the Lesbian community in Las Cruces by throwing parties in Vado in the 90s. Deborah Moore with her friend, Blu K. Warren on KRWG’s StoryCorps which airs Mondays at 8:45 am and 6:45 pm. KRWG is proud to have hosted 3 StoryCorps so that our stories too can be included in the Library of Congress. You can hear this....and other interviews on the StoryCorps page in the radio section....at krwg-dot-org. Time now for KRWG’s StoryCorps which visited our area in January. Lance Gambrell (31) talks to his mother, Lori Miller (58), about his ongoing health troubles, which started at the age of thirteen when he discovered his first of four brain tumors. Lance Gambrell talking to his mother, Lori Miller on KRWG’s StoryCorps which airs Mondays at 8:45 am and 6:45 pm. KRWG is proud to have hosted 3 StoryCorps so that our stories too can be included in the Library of Congress. You can hear this....and other interviews on the StoryCorps page in the radio section....at krwg-dot-org. Time now for KRWG’s StoryCorps which visited our area in January. Suzan Martinez de Gonzales (60) tells her daughter, Donicia Cresencia Gonzales (35), about her early life and her mother's struggle with domestic violence. Time now for KRWG’s StoryCorps which visited our area in January. Sisters, Maribeth Hulsey (72) and Sherry Hulsey (70) share their childhood memories and remember their parents. Maribeth Hulsey and Sherry Hulsey on KRWG’s StoryCorps which airs Mondays at 8:45 am and 6:45 pm. KRWG is proud to have hosted 3 StoryCorps so that our stories too can be included in the Library of Congress. You can hear this....and other interviews on the StoryCorps page in the radio section....at krwg-dot-org. Time now for KRWG’s StoryCorps which visited our area in January. Ramon Dorado (26) talks to Yazmin Irazoqui-Ruiz (23) about his involvement with the Dream Team and his passion to inform undocumented citizens. Ramon Dorado talking to Yazmin Irazoqui-Ruiz on KRWG’s StoryCorps which airs Mondays at 8:45 am and 6:45 pm. KRWG is proud to have hosted 3 StoryCorps so that our stories too can be included in the Library of Congress. You can hear this....and other interviews on the StoryCorps page in the radio section....at krwg-dot-org. Time now for KRWG’s StoryCorps which visited our area in January. Judy Bosland (61) interviews her husband, Paul Bosland (63) about his career as a Chile Pepper breeder at New Mexico State University. 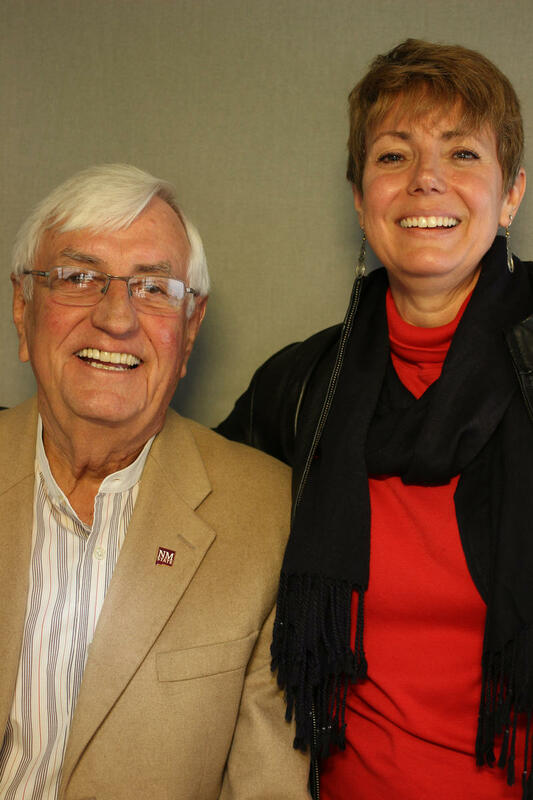 Judy Bosland and Paul Bosland on KRWG’s StoryCorps which airs Mondays at 8:45 am and 6:45 pm. KRWG is proud to have hosted 3 StoryCorps so that our stories too can be included in the Library of Congress. You can hear this....and other interviews on the StoryCorps page in the radio section....at krwg-dot-org. Time now for KRWG’s StoryCorps which visited our area in January. Lilian Mares (Rhymes with Myers) (43) and her husband, Alex Mares (49), talk to their daughter, Mikayla Mares (15), about the importance of preserving the local southwestern environment. Time now for KRWG’s StoryCorps which visited our area in January. Lillian Clapp (11) interviews her grandfather, Charles R. Clapp (78) about his childhood, what it was like living in a farm, and his introduction to new technology. Lillian Clapp interviews her grandfather, Charles R. Clapp on KRWG’s StoryCorps which airs Mondays at 8:45 am and 6:45 pm. KRWG is proud to have hosted 3 StoryCorps so that our stories too can be included in the Library of Congress. You can hear this....and other interviews on the StoryCorps page in the radio section....at krwg-dot-org. Time now for KRWG’s StoryCorps which visited our area in January. Inocencia Coronado (80) talks to her son, Jose R. Coronado (60), about illegally entering the U.S. to work in the fields at young age and how she was able to buy a house, raise a family and become a naturalized U.S. citizen. Time now for KRWG’s StoryCorps which visited our area in January. Daisy Maldonado (37) and her friend, Yvonne El Ashmawi (41), talk about the challenges and experiences they face being Chicana Muslims. Time now for KRWG’s StoryCorps which visited our area in January. Monica Giron (30) and her soul sister, Carli Romero (27), share their experiences with Shakti Rising - a women's support group - and how it has changed their lives for the better. Monica Giron and Carli Romero on KRWG’s StoryCorps which airs Mondays at 8:45 am and 6:45 pm. KRWG is proud to have hosted 3 StoryCorps so that our stories too can be included in the Library of Congress. You can hear this and other interviews on the StoryCorps page in the radio section at krwg.org. Time now for KRWG’s StoryCorps which visited our area in January. Karen Trujillo (45) interviews her parents Bernadette Apodaca (68) and Gilberto T. Apodaca (69) about what it was like growing up in New Mexico in the 1950s, their New Mexican heritage, and the importance of education. Time now for KRWG’s StoryCorps which visited our area in January. Jonah Garcia (63) tells her granddaughter, Jessica Dunn (24) about grandparents, some early memories, and their family's heritage in New Mexico. Time now for KRWG’s StoryCorps which visited our area in January. Isabel Aguirre (74) interviews her friend and musical partner, Johnny (Juan) Florez (87) about his career and life as a musician in New Mexico. Time now for KRWG’s StoryCorps which visited our area in January. William Maio (MY-yo) (34) talks to his wife, Leah Messina (34), about his career as a Scientist and the challenges they faced coming to Las Cruces, New Mexico. Time now for KRWG’s StoryCorps which visited our area in January. Dwight T. Pitcaithley (71) tells Jon Hunner (63) about his time working as the Chief Historian of the National Parks Service. Time now for KRWG’s StoryCorps which visited our area in January. Sisters Peggy Swoveland (72) and Jane Nakayama Cole (74) talk about their grandparents' immigration to the U.S. from Japan in the early 20th century settling in Las Cruces. Time now for KRWG’s StoryCorps which visited our area in January. Susan Campbell (69) talks to her coworker, Nicole Martinez (39), about how she went from having a stable job in the electronic industry to becoming homeless. Time now for KRWG’s StoryCorps which visited our area in January. Today, Omar Reyes (43) talks to his son, Lucas Omar Reyes (6), about his childhood and the lessons he's learned as father; to never give up. Time now for KRWG’s StoryCorps, which visited our area in January. Today, Carol Owensby interviews her father, Garrey Carruthers who was former governor of New Mexico from 1987 to 1991 and currently serves as President of New Mexico State University. President Carruthers talks about how he met his wife at the university and what their first date was like. 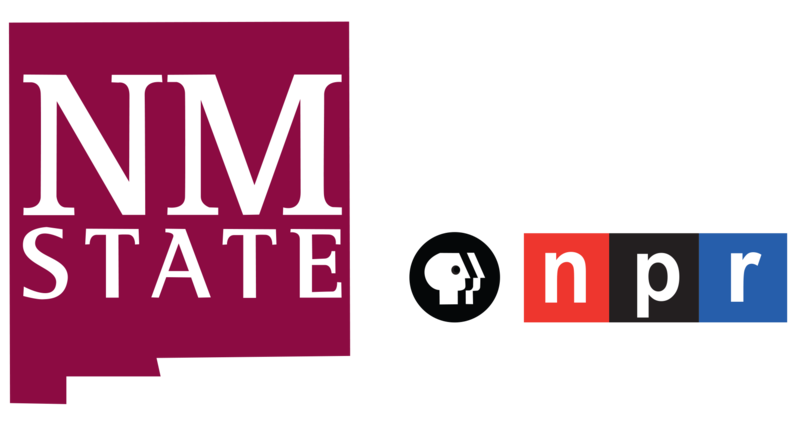 KRWG’s StoryCorps airs Mondays at 8:45 am and 6:45 pm. Time now for KRWG’s Story Corps. Today we meet Judge Lou Martinez and her son, David Martinez. Judge Martinez talks about her mother, Francisca Marquez Martinez. Time now for KRWG’s Story Corps… I’m Edmundo Resendez. Today we meet Sara Belger who talks with her boyfriend Andrew Polk about how they started dating but how Sara was resistant to the relationship. Then, Andrew had a surprise for Sara. Time now for KRWG’s Story Corps. Today we meet Sandra Iturbe as she talks to her cousin, Cemelli de Aztlán about the Temazcal or pregnancy sweating lodge and how that was a healing experience not only for Cemelli who had had a traumatic experience when she gave her son for adoption at 16 years old. Time now for KRWG’s Story Corps. Today we meet Angelina Jaquez as she talks with her daughter Angelica Torres about coming to the U.S. to work and what "life in the shadows" means. Time now for KRWG’s Story Corps. Today we meet Estela Reyes and sister, Candida Reyes, as they remember their dad, Juan Reyes, who passed away two years ago from diabetes. They remember the unusual funeral that they prepared for him since their dad was the type of person that always went against the grain. Time now for KRWG’s Story Corps. Today we meet Preciliana Sandoval as she talks with StoryCorps Facilitator, Erin Dickey about how she became an artists and her how knowledge of history drew her to open her business, Morena Walking Tours in Mesilla and is currently studying to become a history teacher. Time now for KRWG’s Story Corps. Today we meet Ryan Otero as he talks to StoryCorps facilitator Virginia Lora about working as a “pollero,” driving undocumented immigrants from Phoenix, AZ to Washington, DC. Time now for KRWG’s Story Corps. Today we meet Patsy Hermosillo and her daughter Vanessa Brady as they have a conversation about the death of Patsy’s daughter, Laura when she was 11 months old. Time now for KRWG’s Story Corps. Today we meet Harvey Hilbert as he talks with Virginia Lora about his experiences in the Army during the Vietnam War.